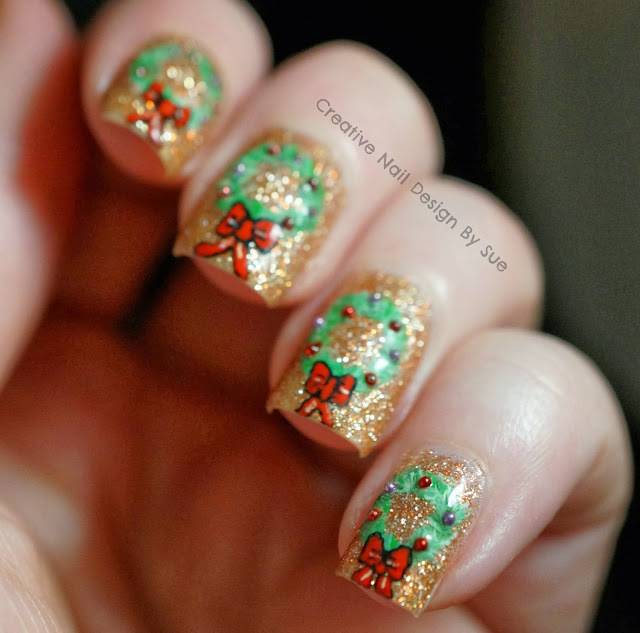 This mani is so cute, I love it! Awesome! Perfect mani and pefect for the challenge! I know how you feel about beads, I'm totally against texture on my nails (beyond textured polish), it kind of drives me nuts. Studs I can kind of do, but beads would get to me. THAT SAID, they really make this look. And your little bows are adorable! It is super pretty, I like the 3D effect! Gorgeous! That gold is stunning! This is adorable and so perfect!! !